Self-determination theory is a theory of human motivation that increasingly is being used by organizations to make strategic HR decisions and train managers. It argues for a focus on the quality of workers' motivation over quantity. Motivation that is based on meaning and interest is shown to be superior to motivation that is based on pressure and rewards. Work environments that make workers feel competent, autonomous, and related to others foster the right type of motivation, goals, and work values. 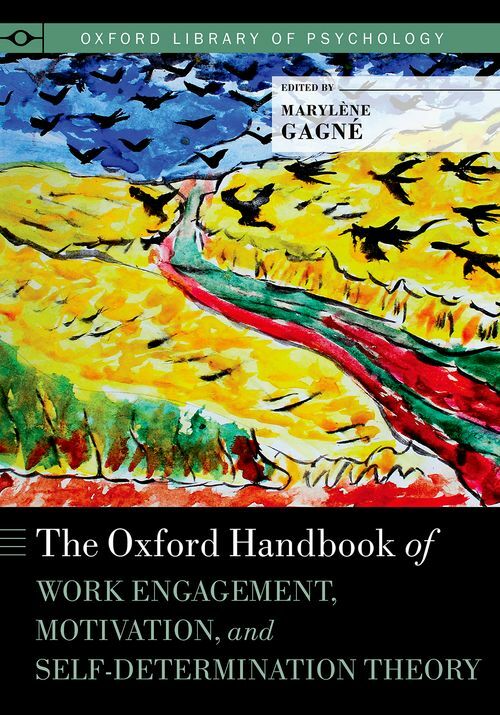 The Oxford Handbook of Work Engagement, Motivation, and Self-Determination Theory aims to give current and future organizational researchers ideas for future research using self-determination theory as a framework, and to give practitioners ideas on how to adjust their programs and practices using self-determination theory principles. The book brings together self-determination theory experts and organizational psychology experts to talk about past and future applications of the theory to the field of organizational psychology. The book covers a wide range of topics, including how to bring about commitment, engagement, and passion in the workplace; how to manage stress, health, emotions, and violence at work; how to encourage safe and sustainable behavior in organizations; how factors like attachment styles, self-esteem, person-environment fit, job design, leadership, compensation, and training affect work motivation; and how work-related values and goals are forged by the work environment and affect work outcomes. 23. What Is a Functional Relationship to Money and Possessions? Marylene Gagne is professor of industrial and organizational psychology at the University of Western Australia and was previously the Royal Bank of Canada Distinguished Professor in Work Motivation at the John Molson School of Business, Concordia University. She researches organizational and personal factors that affect worker motivation, and how this motivation affects worker performance and well-being.